vegan nut butter truffle balls | eating with S.O.L.E. Slowly, pour melted chocolate mixture into coconut milk mix and gently fold together, until shiny and well combined. Pour into shallow baking dish and allow to set in cold fridge about 3o minutes. Once set using a 1 0z ice cream scoop or two spoons, portion into 2 bite balls. 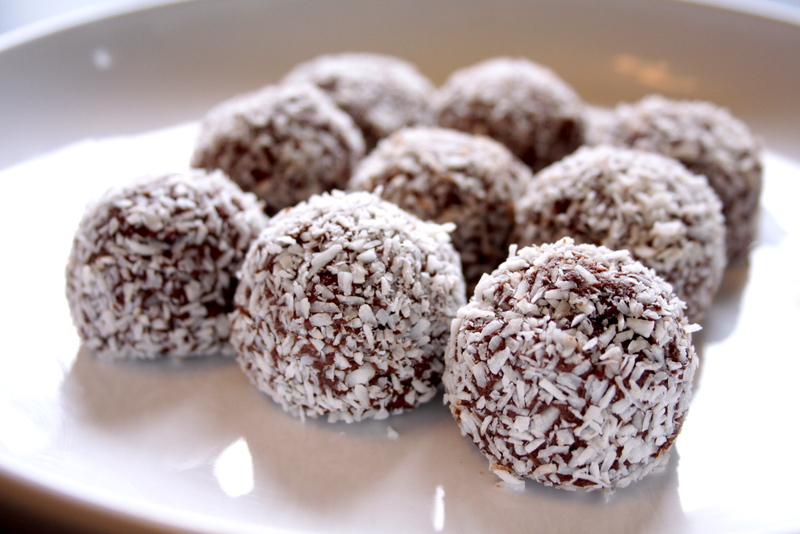 quickly roll balls in organic shredded coconut, keep cool and enjoy!